The majority of listeners do not treat headphones as a component of a quality audio system. Why so? The stereotype makes us believe that every audiophile (or any music fan) has to buy the right speaker system and select its components with love and care. Why does it happen? Some people buy speakers to emphasize their status. They view them as big and serious devices, unlike tiny headphones. Besides speakers are used for everybody present in the room, while headphones are for selfish listeners. You can give them to somebody for a trial, but only the second pair will allow sharing the joy from favorite tracks. Those who prefer listening to background music should not be ignored as well. It is a complicated issue and we will mention only the purposeful listening here. Speakers and headphones clearly have their advantages and drawbacks. As an experiment I will touch upon all pros and contras. The following is my personal and biased opinion, so take it as such. First we have to set the lowest price of acceptable headphones. Theoretically, even for $5 you can buy something to reproduce sound, but we definitely mean decent quality here. The latest model of "big" headphones with appropriate sound I can mention is Fischer Audio for $50. I think that in order not to concentrate on materials and sound quality you should spend 3-4 times more. Take Fischer Audio FA-002 or FA-003 for $150 or a branded device from Audio-Technica, Sennheiser or beyerdynamic for $230-320. The sound quality for the money will be high enough. Decent earbuds will fetch the same $200-320. You can criticize the manufacturers, but $30 will buy you nothing. You cannot get decent speakers for $200 either. You can buy something even for $10, but low quality headphones will also be cheap. The price of good headphones is enough for multimedia floor standing speakers, which are not the right choice for music. More or less acceptable HiFi costs from $500 to $1000 for the speakers. You can buy inexpensive near field studio monitors, which are clones of multimedia speakers, but quality solutions will cost several thousands. The abstract term of "sound quality" has no sense. Which characteristics are always better in speakers (apart from especially difficult cases)? This is obviously the width and depth of the stereo pan. Indeed, expensive headphones offer some sort of the stereo pan, which can be detailed, but still there are some limitations. The sound stays in your head, anyway. Hardware and software enhancers can be handy, for example crossfeed, when the sounds from one channel are added to another. For the majority of stereo records from the last 30 years these effects are added during the mixing stage and you cannot get anything more. Then we also have binaural recordings (to be discussed in one of future columns), which give volume effect, but such recordings are not numerous, while ordinary stereo cannot be converted into binaural. The second often ignored point is the perception of low frequencies by our body. High quality speakers (not cheap multimedia stuff) have this feature due to the broader range of reproduced frequencies. Headphones for $200-320 will give you 30 Hz and decent volume. I am curious how much will cost a pair of speakers with similar characteristics and what its size will be. Subjective impressions from low frequencies are still different between headphones and speakers. Any high quality speaker system will convey low frequency with better detail. Some people cannot differentiate bass from noise around 100 Hz, which is happily exploited by the manufacturers of inexpensive speakers, especially subwoofers. If you cannot live without the heavy noise of subwoofer at mid bass, then headphones will not help, but we speak about the sound quality and not some wow-effect from noisy basses? Regarding the rest of specifications (if headphones and speakers receive appropriate amplification) the situation is no less dubious than with bass. On one hand, a very expensive speaker system will always beat premium headphones in detail and natural character of the sound, but do not forget that the price of headphones rarely surpasses the mark of $1000. Headphones are usually full rangers, while expensive speaker systems feature several speakers each responsible for a particular frequencies range. Low frequency speakers may utilize Kevlar, which is light and solid. The same applies to other frequencies. Every task requires a particular solution. On the other hand, $1000 can buy you headphones with an amplifier, which will easily overtake stereo speakers with a cheap amplifier in terms of provided detail. You can only enjoy the broad stereo base of your speakers. I would like to mention that many owners of inexpensive speaker systems occasionally express ungrounded disregard towards the sound quality of headphones. At times they have a limited headphones experience or compare their systems with entry level models from Philips, Pioneer, or even Sennheiser. You may be surprised, but not all headphones can offer high quality sound. Again compare products with the same price. If Monster Cable Turbine for several hundreds of dollars is an engineering masterpiece, then multimedia speakers for the same money will boast only plastic and chipboard. You can find many exceptions, but I never came across high quality speakers priced below $200. I want to add that headphones (especially portable ones) always had higher reliability requirements, because nobody carries speakers around all the time. They are not influenced by temperature fluctuations or physical impact. 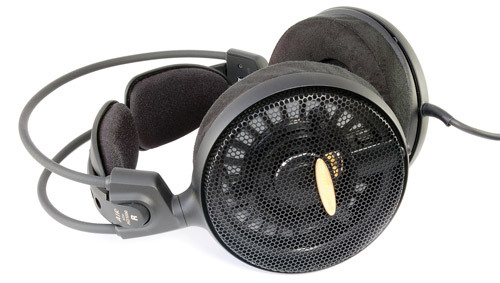 However, 10 years ago we could only dream about headphones similar to Turbine in terms of materials and build, but the market was not mature enough. Now you can buy reliable and nice looking earbuds with good sound quality and accessible price. As you see, nothing is simple. Headphones offer more for the same money, but speakers have their technological advantages. This topic is not a foregone conclusion and in the next issue we will cover the rest of the points.